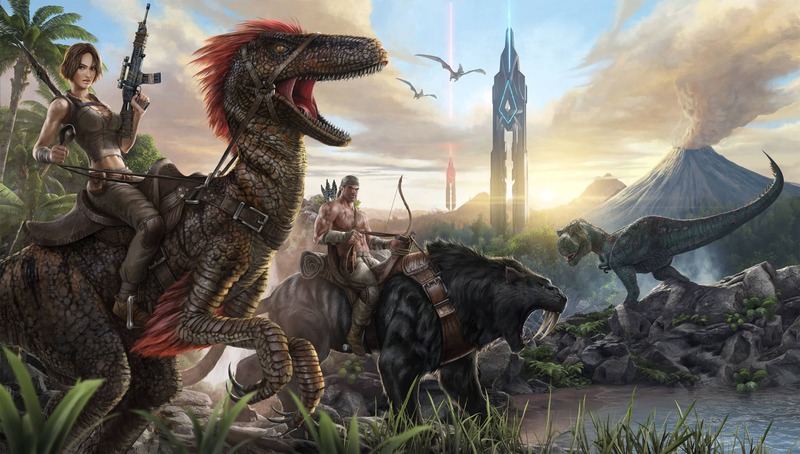 DO YOU WANT TO RENT ARK SERVER? 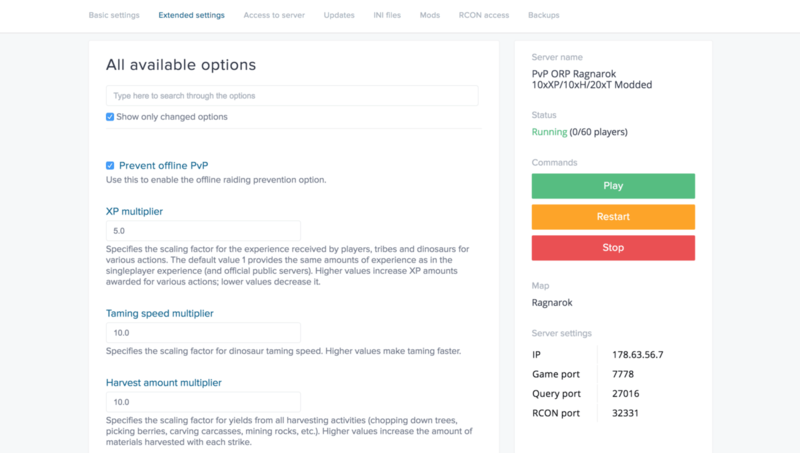 Manage all available ARK settings through straightforward interface. 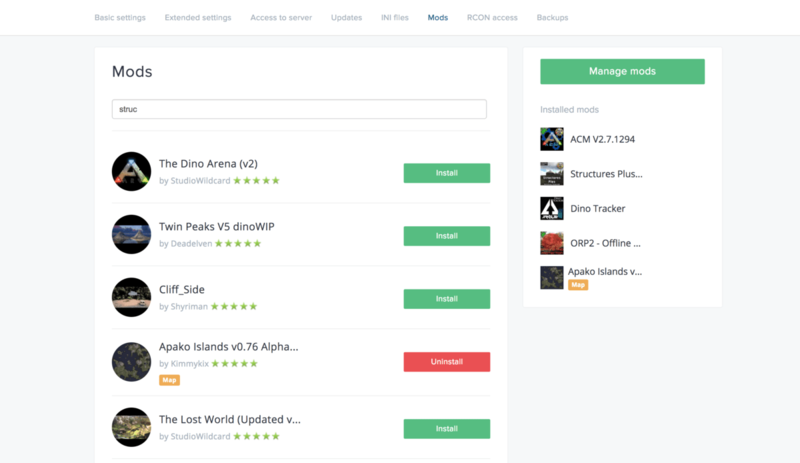 Install and manage more than 4000 Steam mods with 1-click interface. Never miss desired update. 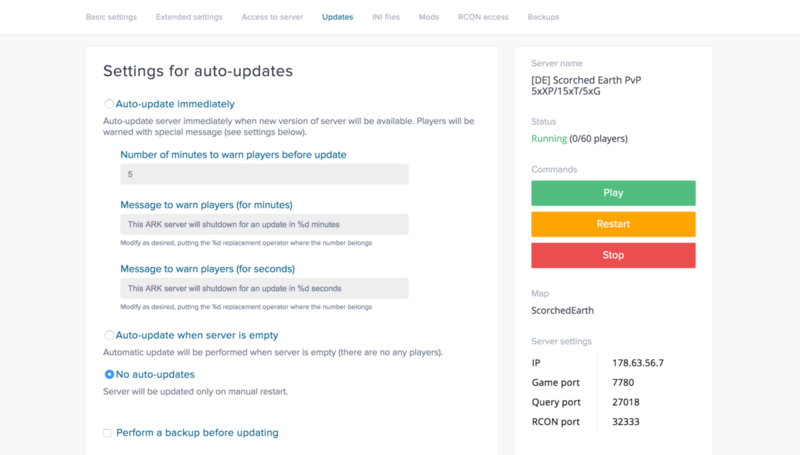 Never stop server without warning. 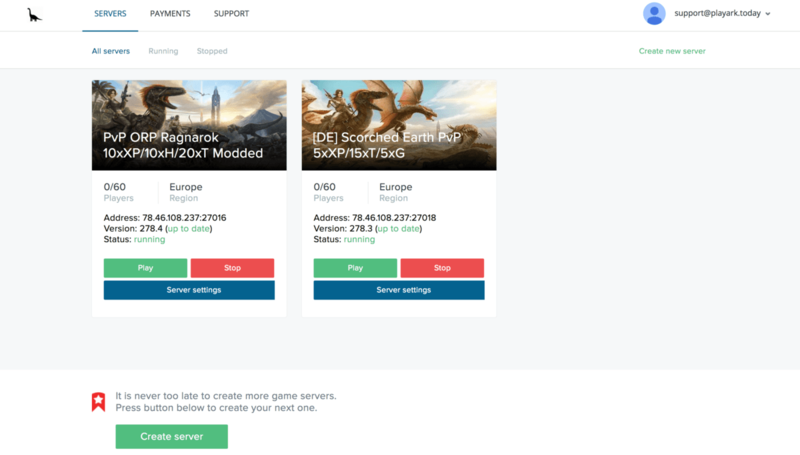 Create, start and stop your game servers with one click. 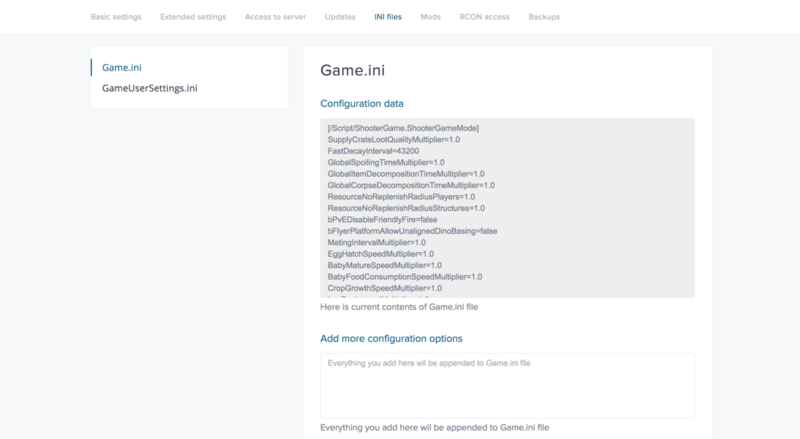 Control expert settings using INI files. Do not have account? Sign up!